When people hear the term “high need baby”, many automatically think “special needs” which can stir up a lot of emotion for parents. In reality, high need and special needs are very different and need to be addressed differently. According to pediatricians Drs. William and Martha Sears, the doctors who coined the term “high need baby”, it underscores the idea that these babies simply need more: more touch, more understanding, more sensitivity, more attachment parenting. The term is really just a way to describe a personality or temperament that is very communicative and expressive. In addition, many of these babies are very alert, and require more stimulation and attention than other babies. My son was a high need baby right out of the gate, although I didn’t know it at the time. I found myself with a nine-month-old baby who woke every 1-2 hours at night and slept sporadically throughout the day. I turned to my pediatrician for advice, and he told me it was just colic but didn’t have a real solution. And I refused to put my baby in a room to “cry it out”, even though that’s what everyone around me was telling me to do. The term “high need” was not presented to me until I began studying to become a sleep consultant and I read a book written by Dr. Sears. I then realized there was an explanation for what I was dealing with all along with my son. While having any type of label on your child is hard to hear as a parent, it can be very comforting knowing you aren’t alone and that there are others out there that are experiencing the same things you are. The label can provide access to more education, more guidance, and more support to help you understand the unique aspects of your child’s personality. This is a positive thing. Knowledge is power. That power has helped me understand my son better and be able to give him what his specific temperament and personality requires. It has also allowed me to help other families that are in similar situations at a sleep consultant. Everyday simple tasks are often very difficult and time-consuming. There is a lot of stress and anxiety just taking her to the store. It often seems like nothing makes him happy and his behavior is always different than that of his peers. My child is not easily able to entertain himself and it seems as though once you get him settled, there is a new need that must be met. My child cries A LOT, and has a large number of meltdowns and tantrums throughout the day. A high need personality combined with a sleep deficit makes for even more stress and frustration. While addressing the sleep deficit isn’t necessarily going to solve all of a frustrated parent’s problems, it is a significant piece of the high need puzzle that needs to be addressed. Actually, there are instances where families come to me and believe that their child is high need when in fact they just have a very significant sleep deficit. A child who is not getting proper rest will have a very difficult temperament, will be harder to put to sleep and keep asleep, will be fussy/cranky all throughout the day, and lack the ability to entertain themselves. Once their sleep schedule and routine are straightened out, many times parents find that the child is in fact not high need at all, they were just experiencing a large sleep deficit. While that is not always the case, if you can eliminate the sleep deficit it can help you problem solve other issues. Many sleep difficulties occur in high need babies because they are more alert and sensitive to their surroundings. 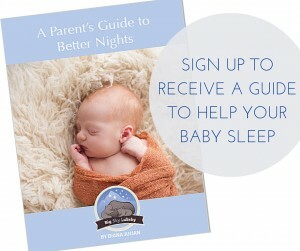 This means that parents must approach sleep differently to be successful. My experience with high needs children, at both a personal level and a professional level, is that high need babies often have a more specific set of needs than the average child. Structure is Key: High need kids typically don’t do well with change or inconsistency so when it comes to offering them sleep, it must be presented in a structured way. Often their protests are due to the fact that they don’t know what they want or need, and it is up to us as the parents to figure that out for them. It’s a Team Effort: Many parents will tell you that one of the main qualities their high need child has is a stubborn temperament. This is why sleep is non-negotiable and it is important for both parents and all caregivers involved to be on the same page when it comes to putting the child to sleep. Tears May Be Unavoidable: High need babies are more likely to cry harder and longer than other babies, so even “gentle” sleep training methods my result in more tears than normal. Watch the Clock: While “sleep cues” are important for most babies, it is almost impossible to recognize cues that a high need child is getting sleepy. For these kids, it is more important to watch the clock and implement a very strict schedule. If a naptime is missed or a bedtime is too late, it could influence sleep for the next several days. Shorter Wake Periods: High need babies may be able to stay awake for only short periods of time, especially if they are chronically overtired. So don’t be surprised if your high need child has shorter wake intervals than most books suggest. 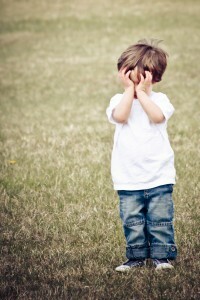 Sensory Processing Issues: Many high need children deal with sensory processing issues on some level. One of the main suggestions I make with these kids is to make sure all sleep material is made of cotton, including pajamas, sheets, and blankets. If you think this might be the case for your child, it is best to request a referral to an occupational therapist from your pediatrician. It Applies to both. In my personal situation, my son was high need and as a toddler was diagnosed with Autism. With a special needs child, along with the high need qualities, it begins to be clear that there is more going on when they are not meeting milestones like talking, making eye contact, engaging with other children, crawling, sitting up, pulling themselves to the standing position, or walking. This typically is not the case, but understanding both the high need and special needs aspect of my son provided me the knowledge to be able to tend to his needs differently. Just like we would customize the approach to teaching special needs children in school, it is critical to customize how we teach them to sleep. There have been multiple studies that have shown that falling and staying asleep can be a common issue for children with autism. One specific report in the Archives of Pediatrics & Adolescent Medicine1, said that children with autism spend less time in the rapid eye movement (REM) stage of sleep compared with controls and those with developmental delays. REM sleep is believed to be important for cognitive development and memory. There are many theories and research studies going on to discover why sleep is an issue with these kids. Some potential causes are malfunctions with the body’s biological clock (circadian rhythm), medication side effects, too much stimulation at bedtime and sleep apnea. What we do know is that lack of sleep impacts cognition, mood, and behavior, some of the same concerns that fall inline with autism. By addressing the sleep issue we may be able to improve some of these issues. While every child is different and will respond differently, one of the most important things I tell all of the families I work with is the importance of keeping a routine and a sleep schedule. The bedtime routine is specific to each family, but there are some standard components to a successful routine when it comes to special needs children. Cuddle Cuddle Corner: Create a special space within the child’s bedroom, so they have a consistent place where they go before bed for 2-3 minutes of just cuddling with mom or dad. Comfort Item: Find an item that provides the child a sense of security that can be part of the nighttime routine. A familiar item such as a stuffed animal, blanket or a lovey can reduce anxiety and help them soothe themselves to sleep. Rocking: When it comes to a bedtime routine, typically it is not recommended to rock children to sleep. However, children on the autism spectrum benefit from heavy rocking in order to settle down. I don’t encourage parents to let the child fall asleep in the rocking chair, but it can be beneficial as the last step of the bedtime routine. Many times rocking rapidly and then slowing it down and then starting again can prove to be very soothing and helpful for the child to find sleep. Velcro Board: I encourage the use of a Velcro board with pictures of the nighttime routine (brush teeth, use potty, read stories, cuddle with mom/dad, go into bed and go to sleep). This will help the child visualize what needs to happen each night. Tot Clock: A tot clock helps with the routine and let’s the child know when nighttime is over. Cotton Bedding and Pajamas: Similar to high need children, sensory processing issues can be a concern for children with autism also. I always recommend to make sure all sleep material is made of cotton, including pajamas, sheets, and blankets with these kids. Overall, the best advice I can give to parents is to be realistic in their sleep expectations, don’t compare them to their siblings or peers. Even if there is a small accomplishment, celebrate it and let them know they did well. Don’t focus on the fact that they should be doing more compared to a typically functioning child. All children are different, whether they fall under the high need category, special needs category or not, children have varying degrees of temperament and what works for one baby may not work for another. This is why is it important to be very aware of your child’s personality and needs, so you can better address them with the appropriate solution.